Sweatbands are an incredibly useful tool that every active person should own. Why you ask? The answer is simple. They are lightweight, comfortable, and extremely efficient when it comes to making your workout as successful as possible. Whether you own a set of sweatbands or you’re are looking to purchase your first set, we have bulk headbands and wrist sweatbands in bulk, so you are never stuck with dirty sweatbands during your next workout. Cheap sweatbands in bulk are ideal for anyone who leads an active lifestyle, especially for those who like to coordinate their workout gear. Available in multiple colors and styles, it is easy to stylize your sweatbands with your workout clothes and other accessories. One of the best parts about buying sweatbands in bulk is that you can easily be prepared with a fresh set every day, every workout, and every sporting activity. If you wish to really utilize these bulk sweatbands to their fullest potential, they can be great for accessorizing entire sports teams. Whether you are the coach of a kid’s soccer team, a parent of a baseball player, or a member of your own adult team—consider bulk sweatbands for gearing up the whole team. While these sweatbands come in a variety of colors/styles in bulk making for a cohesive appearance among sports teams and exercise classes—they additionally serve a higher purpose. 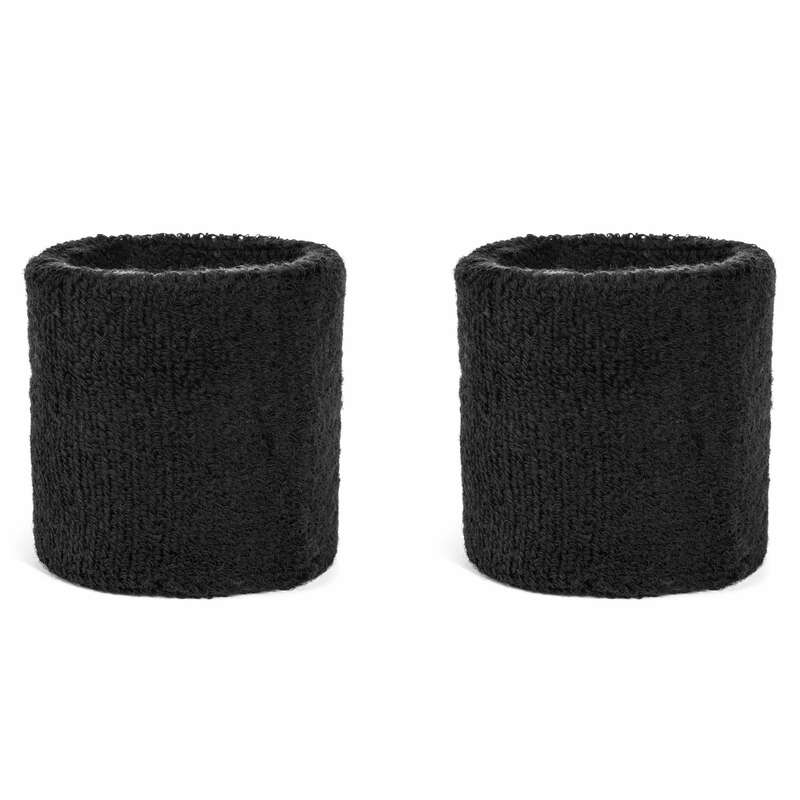 Most of these sweatbands are crafted from terry cloth, which makes them ideal for both style and functionality. Terry cloth sweatbands make up a large mass of the bulk sweatbands we have available. Terry cloth is an extremely useful fabric for an array of purposes. For starters, sweatbands like these are excellent for wicking away sweat. With a headband in place, you can feel comfortable and confident whether you are practicing yoga, tennis, volleyball, or some other highly active sport, you can utilize these headbands to keep your hair out of your eyes, and the sweat off of your brow. Factors such as hair and sweat can cause a much bigger problem than you might have ever thought. When you are active during your workout or sports game, it is not uncommon to run into the issue of hair or sweat getting in your eyes. This, of course, hinders your overall ability to gain success throughout your active periods. Not only that, they will have you both looking and playing your best. Not only are you able to purchase colorful and stylish headbands through us, but you can also additionally purchase bulk wristbands on their own, or bulk sets of head and wristbands so you are 100% prepared when you know you are going to sweat. 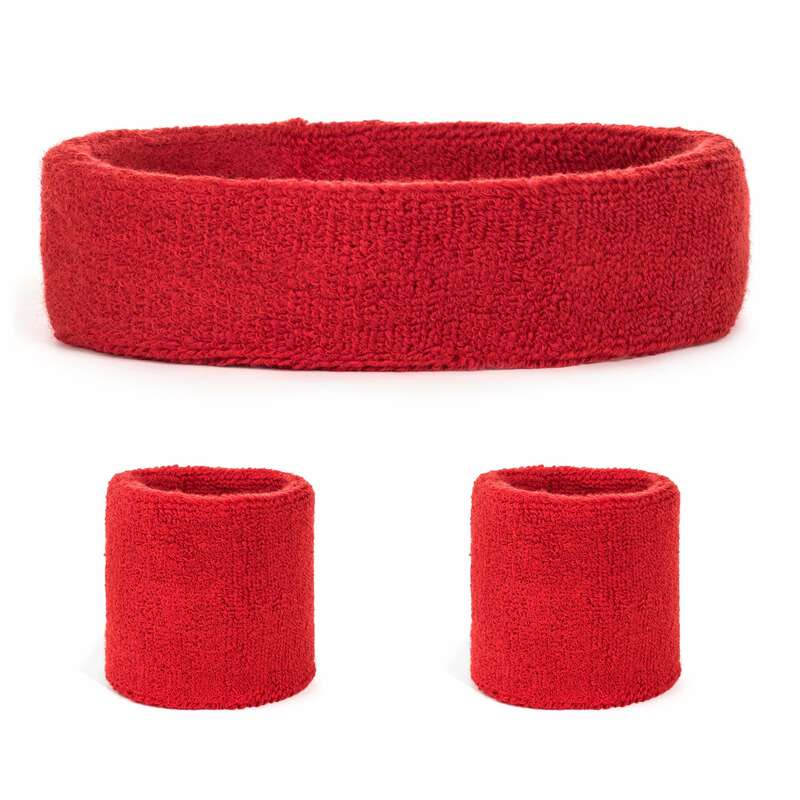 With a matching set of terry cloth head and wristbands, it is easy to remain active without having to break up your workout/game. There are many times during our workouts and sporting events that we deal with an excess of sweat that can get in the way of our productivity. For instance, the sweat we produce during these active periods can get into our eyes and down onto our hands, making it difficult to maintain a grip or clear line of vision. With wrist and headbands crafted from the most efficient and absorbent material possible, you can keep your hands and forehead free from sweat so you can perform to your utmost abilities without any unwanted roadblocks. Grab your selection of bulk sweatbands so you are always ready to get sweaty. After all, remaining active in our daily lives is the key to a successful and healthy life. 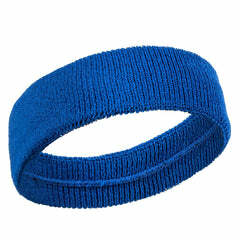 Grab some bulk sweatbands for your workout wardrobe or to disperse them among your team members. No matter what you do with them, you can rest assured that you are always looking your best while remaining efficient.